An article just published in Science Robotics suggests people are more willing to respond to a social robot with ‘humanoid’ qualities rather than obviously mechanical ones when given the choice. The article also showed that people’s intention to use a social robot can be predicted on their emotional response, perceived utility and social/relational connection to the robot. 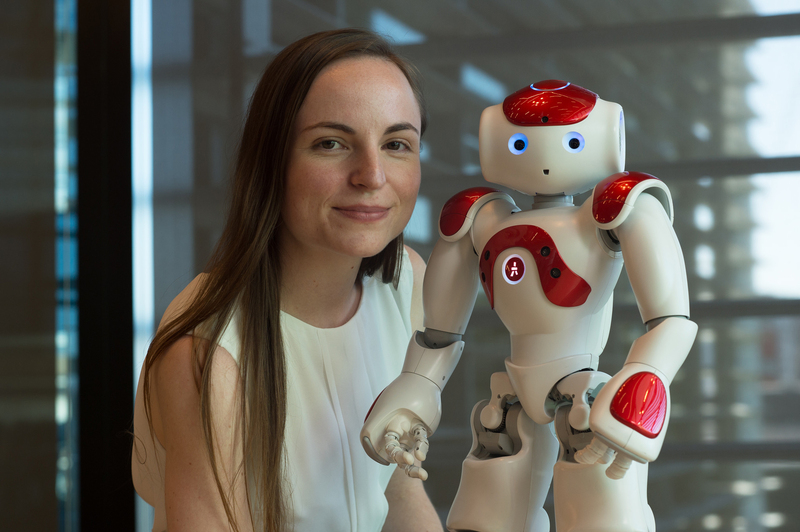 Lead author, Dr Nicole Robinson, Research Fellow with QUT’s ARC Centre of Excellence for Robotic Vision, said despite recent advances in the applications of social robots, people need to feel engaged and comfortable with them for robots to be an effective social companion, education assistant or healthcare tool. Dr Nicole Robinson with a NAO. Dr Robinson has just completed a study to evaluate human-robot interactions using three assessment scales looking at incentives, confidence (self-efficacy) and intentions to use a social robot. The study groups included over 200 high school students who met NAO robots in person, and more than 400 adults who completed a survey online and watched a video of a person talking to a NAO robot. 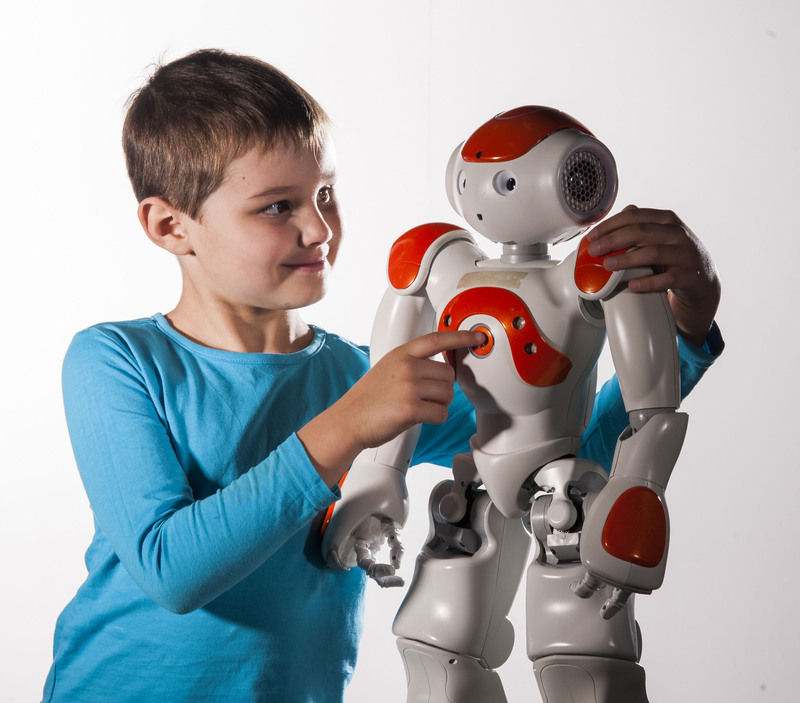 “There has been little research into measuring the social and emotional connection with a robot on an interpersonal level, yet it’s critical that we can quantify changes in social robot characteristics or behaviours and predict willingness to use them,” Dr Robinson said. “Social robots are already being used in areas such as education and healthcare. Our study aims to understand people’s reactions, thoughts and feelings about them. This can help us to identify key areas where robots would be well-liked and acceptable to use, or areas where people are not ready to interact with a social robot. “That NAO was designed to behave more humanoid in that it was really expressive, had lots of movement and full of life. We contrasted that with another NAO that we made to act less lifelike, be motionless and have only basic social skills in the conversation. Dr Robinson said the study also showed that it was possible to predict usage intentions in humans when contemplating life with a social robot in it. “People who rated a social robot high on the questionnaire were also more likely to be willing to use a social robot in future. This was the same when we asked adolescents to rate a social robot as a conversation partner and adults to rate a social robot as a healthcare assistant,” she said. “To encourage people to interact with a social robot, we may need to find new ways for people to have a positive emotional response to them, make them to be good social companions, and increase the perceived utility of a social robot for a person, such as being able to help them solve a problem. “For some people, social robots can be quite confronting at first, but likeable and quirky after a short time around one. Dr Robinson added that with mental health rates and non-communicable diseases on the rise, there was an urgent need to find new ways to tackle the problem to help improve health and wellbeing in people. “Digital healthcare could include social robots to be part of an overall approach to reducing the treatment gap and helping more people with their health and wellbeing. This type of technology could support people in areas where it is difficult to access health services or people feel too stigmatized to reach out for help,” she said. Read the full article online at Science Robotics.